A world of content will be converging at the New York Rights Fair. 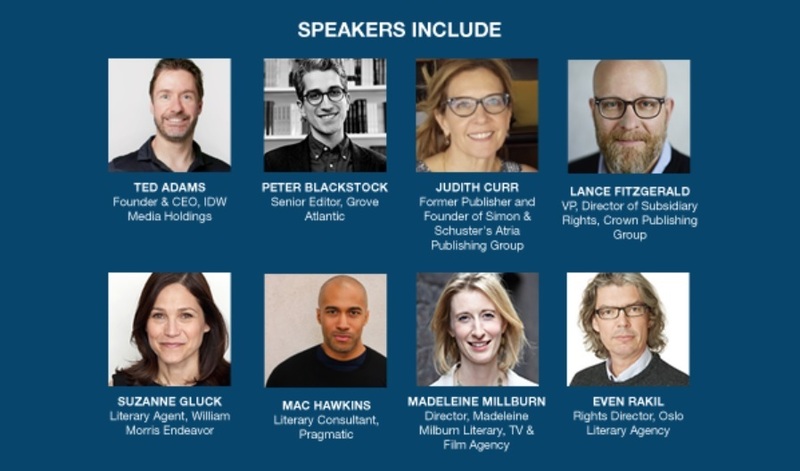 Join us to do important business with the professionals—literary agents, scouts, foreign rights associates, film producers, literary managers, rights owners—driving decisions that determine what we read, watch and listen to, around the world. A brilliant agenda is waiting for you at the New York Rights Fair. Discounted rates expire soon – Save $50-$75 when you order now! Your ticket to the fair gives you unlimited access to the exhibit floor, too. This is the only fair where you’ll find three days of rights-focused, timely panels covering how changes in the marketplace are driving the way rights professionals do business. Book your hotel through the New York Rights Fair group block for the best opportunity to network outside of the fair. Professionals and stakeholders in the business of rights and licensing. This is a great opportunity for rights staff and managers to attend a high-quality, high-content conference to help them accelerate their careers. Day passes available. Attend for one, two or three days to learn about emerging trends as well as to network with key players in publishing and Hollywood. Don’t wait. Check-out the #NYRF18 agenda here, and remember to book early to get the best rate. We hope to see you in New York in May!